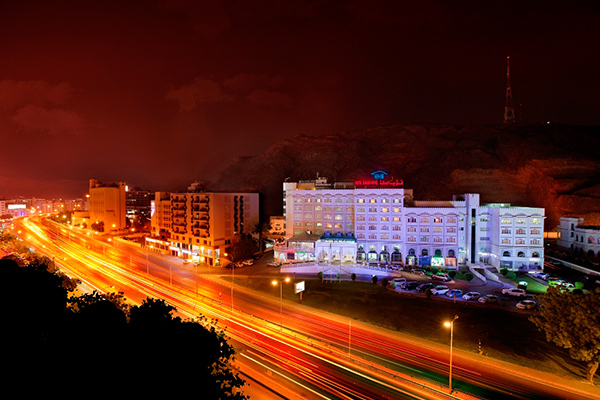 The 4 Star Haffa House Hotel – Muscat is located in the heart of the business district, Designed with business traveler in mind, it offers great facilities and stylish well equipped accommodation. The hotel has a wide selection of accommodation in different sizes & Styles, overlooking the commercial district and highway on one side and the natural hilly area on the other end side. We have four banquet halls perfect for meetings, conference, weddings and other function. Serves delicious breakfast, lunch, dinner buffet daily & ala carte. The newly renovated Samharam Café serves freshly baked delicacies, light snacks, fresh juices, cocktails and local favorite Shisha.